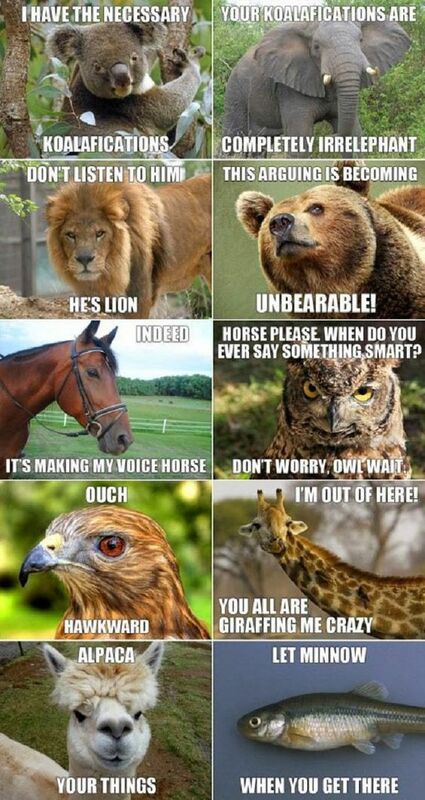 Funny animal puns. I have the necessary koalafications. Your koalafications are completely irrelephant. Indeed, It's making my voice horse. Horse please. Whend do you say something smart? Don't worry, owl wait. Ouch, hawkward. You are all giraffingme crazy. Alpaca your things. Let minnow when you get there.